This legal document template is for two parties entering into a contract to agree to appoint an adjudicator for disputes which arise out of that contract. A schedule is included, allowing parties to detail the adjudicator’s fees and expenses. You need this document if you are a party to a disputed contract, and want to appoint an adjudicator to address disputes. 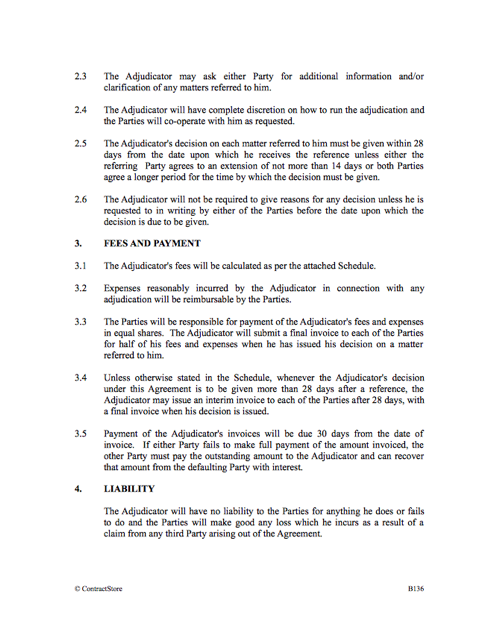 This Agreement is intended for use where two Parties, A and B, have entered into a contract which contains a provision that any dispute between them will be referred to adjudication and they have decided to appoint an adjudicator for the life of the contract, before any dispute between them has arisen. The Adjudicator will usually be appointed after the contract to which it refers has been signed. Adjudication is a process where a dispute between two Parties to a contract is referred to an independent third party, the Adjudicator, for a decision. That decision will be binding on the Parties but if either of them is not satisfied with the Adjudicator’s decision, the contract will usually provide for the dispute to be finally settled either by arbitration or by the courts. Adjudication is not a procedure which has any precise legal definition. 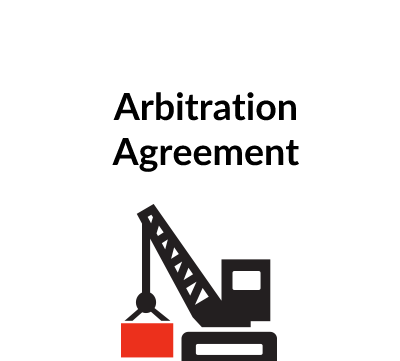 However, adjudication is distinguished from arbitration in that it is a summary procedure and usually, as with this Agreement, the Adjudicator is required to issue his decision within a short period. In this Agreement, we have provided for 28 days. The process of adjudication has some statutory force in England in relation to construction contracts: since 1998, parties to a construction contract in England have had a statutory right to require that any dispute is referred to adjudication. 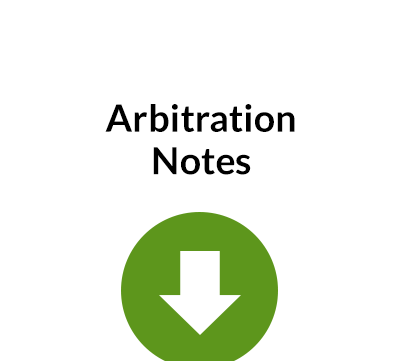 The underlying objective is to enable a rapid interim decision on any dispute to be obtained during the course of the contract: court procedures and arbitration tend to involve months, if not years, of process before a decision is reached. Adjudication therefore offers an interim solution as the project progresses. The Adjudicator’s decision will usually be open to challenge unless the contract expressly states that after a specified period, if neither Party has given notice of dissatisfaction, the decision will be final and binding. This clause establishes the appointment of the Adjudicator and its duration. 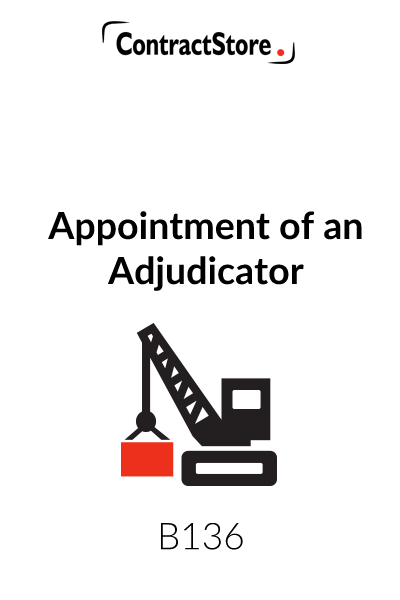 If the contract is for a fixed period, the clause appointing the Adjudicator should specify when his appointment comes to an end. 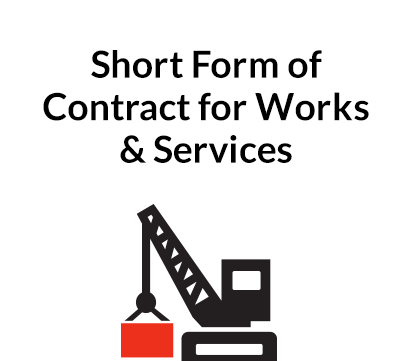 If the contract does not clarify this point, then so long as either Party may have a liability to the other under the contract – under English law this could be as long as 6 or 12 years – any disputes might still be subject to the adjudication agreement. This clause, in 2.1, allows either Party to refer any dispute to the Adjudicator. The reference must contain details of the dispute and the matters on which the Adjudicator’s decision is requested. The reference is sent both to the Adjudicator and to the other Party and the other Party then has time in which to respond. The Adjudicator is given freedom as to how to handle the adjudication, provided that he issues his decision within the time specified in this clause – 28 days, unless this is varied either by the Party making the reference, or by agreement between the two Parties. These time periods are compatible with English law on adjudication relation to construction contracts. Since adjudication is a short process, the Adjudicator may issue his decision based on the information given to him or, if he so decides, he may want a meeting with the Parties to give each of them an opportunity to present its case. When issuing his decision, the clause states that the Adjudicator need not give reasons unless one of the Parties requires him to do so. The basis upon which the Adjudicator’s fees are to be calculated are to be contained in a Schedule. This will usually involve either a daily or an hourly rate for the time which he spends on the adjudication. Since the Adjudicator is being retained to handle all disputes arising out of the contract between A and B, he may require a retainer in addition to fees for time spent on each adjudication which is referred to him. See commentary under the Schedule below. The clause provides for the Adjudicator to issue his invoices after his decision but in a case where the decision period is extended beyond 28 days there is scope for him to issue interim invoices. This clause makes it clear that A and B will be responsible for paying the Adjudicator’s fees and expenses in equal shares. If either of them fails to do so, then the other will have this responsibility and can then recover the amount which he pays from the Party in default. It is usual for an Adjudicator to be exempted from any liability and to be protected from any third party claims and the wording is designed to achieve this. This clause allows both Parties, together, to terminate the Adjudicator’s appointment at any time. Similarly, the Adjudicator has the right to terminate his appointment. It is usual to specify that notices must be in writing. This clause also emphasises the fact that documents being sent by a Party to the Adjudicator or by the Adjudicator to one of the Parties, will be copied to the other Party at the same time. The law governing the adjudication will normally be the same as the law governing the contract to which the adjudication relates. The language will also usually be the same as the language of that contract. The Schedule sets out the basis upon which the Adjudicator’s fees will be calculated. The opening paragraph contemplates the possibility of a retainer being paid, either a ‘one-off’ fee or a periodic payment for the duration of the appointment. For each dispute referred to him, whether or not there is a retainer, the hourly basis is provided for here. The Schedule also deals with travelling time which may or may not be paid for at the full hourly rate. The Schedule also refers to some of the expenses which will be reimbursable. It is unlikely that the adjudication process will involve substantial travel, but if this is a possibility, it is sensible to agree in advance on such matters of detail as the class of air travel which the Parties are prepared to reimburse.